Take A Look At The Calmest Military Vehicle! - Muscle Cars Zone! Take A Look At The Calmest Military Vehicle! The military has always been striving towards modern and advanced technology and that is why the US army engineers have built the calmest Military Vehicle. The future is here and it looks awesome! 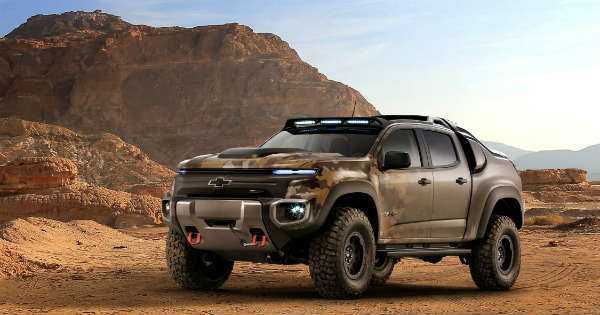 The vehicle is called the Chevrolet Colorado ZH2. It goes through several durability tests and most certainly you would doubt whether the SUV is even running at all. It is so quiet that you would turn your volume on just to make sure. We can even see that the Chevrolet Colorado is fast too! It gains significant speed on the road. It can go through rivers and rocks with ease. This quiet Military Vehicle is something every military in the world would love to have. The US army surely made a significant progress. As bonus footage in the video we see a US marines training. This is a rare chance to take a look from the inside and see how the whole training takes place and what do they actually do. We see huge tanks driving on the field and shooting at targets. Moreover there are groups of military armored vehicles which move on the road at a line and each soldier on the inside shoots at targets. There are huge helicopters too! They practice how to get on the helicopter and attach the military truck. It looks very cool to see how they actually do it. What do you think, could the calmest Military Vehicle be the future of the US army and serve its country with dignity? Moreover, here is a list of military vehicles for you!